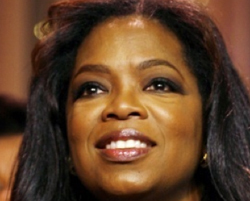 Oprah will star as the madam of a Congolese brothel in an HBO adaptation of the Pulitzer Prize-winning play “Ruined.” The film will be produced by Oprah’s Harpo Studios and written by Lynn Nottage, who also wrote the play. “Ruined” focuses on sexual violence and war through the lens of the lives of several women connected to the brothel. Deadline.com, which broke the story, said that an adaptation of the play, which won the Pulitzer in 2009, had been a “top priority” for Oprah and Harpo.